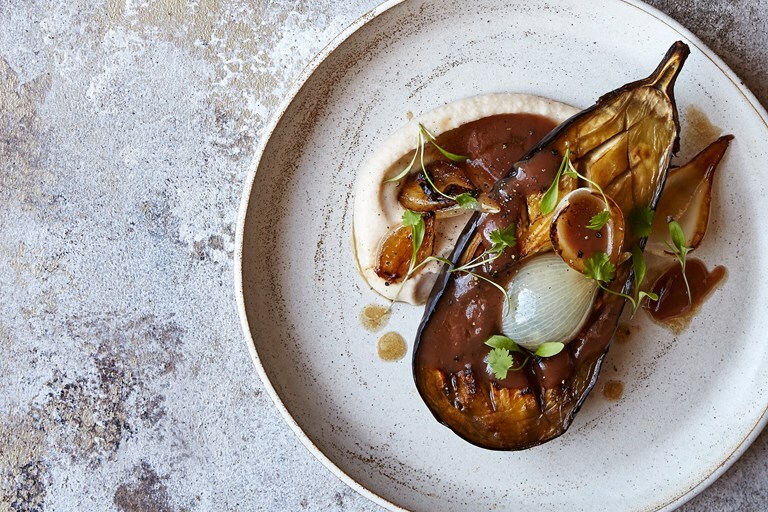 Chantelle Nicholson serves up a stunning slow-roasted aubergine recipe, served with a luscious white bean purée and tangy tamarind sauce for a delectable vegan dinner party dish. Homemade vegetable stock will provide the best flavour, but you can use top-quality shop-bought stock if you're short on time. This recipe is taken from Planted by Chantelle Nicholson, published by Kyle Books. Images by Nassima Rothacker.